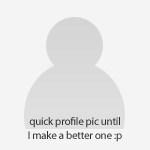 Well I've been meaning to sign up here in forever, but kept forgetting. Thanks to someone over on another forum I frequent poking me about it recently the subject was forced back into my very brief attention span for long enough to get me to act on the instruction. 1993 Lada Riva 1.5E Estate (now fuel injected, as I reckon the later cars should have been from the factory...). 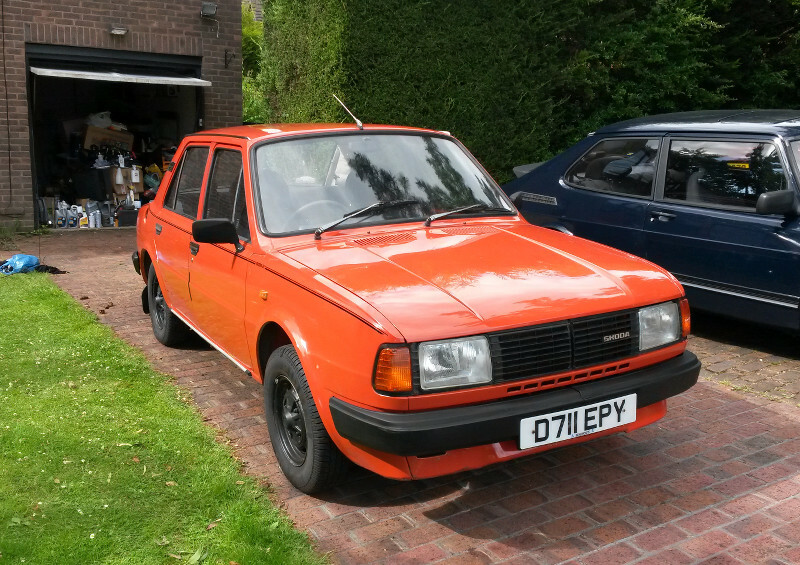 1987 Skoda 120LX 21st Anniversary Special Edition. Firstly...The Lada. Before anyone asks - in response to the single question I get asked about this car: No, it is not for sale. Took me 13 years and my father's inheritance to find the thing. Yes, it's got the usual rusty wings...Hoping that will be resolved in the next couple of months. Next up a *real* Skoda...back when they put the engine where it belongs, right out the back. In the best possible colour of course...eye-searingly bright orange. Seat covers have been added since that photo was taken as it suffers from the usual rotting seat cloth problem that affects virtually all Estelles. Realised when looking for this that I really need to get some more photos of the thing...I use it often enough after all! 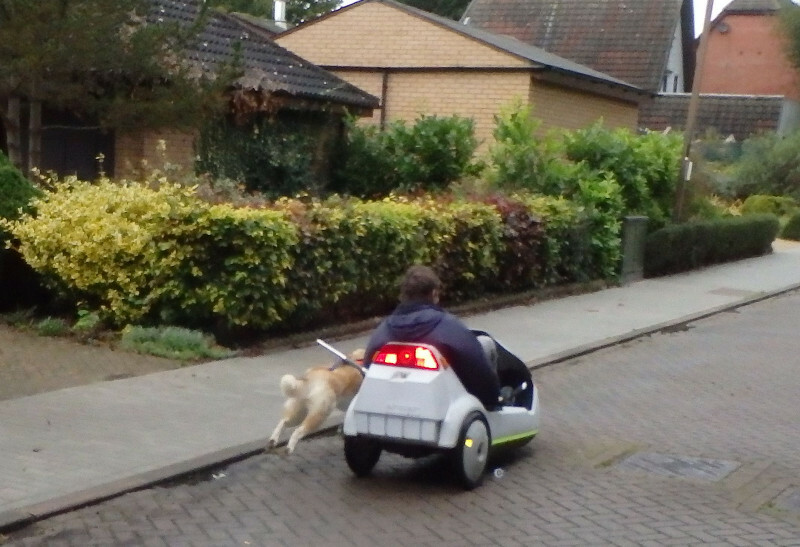 We have a dog who's half husky, so this is a really good way of getting him some exercise. 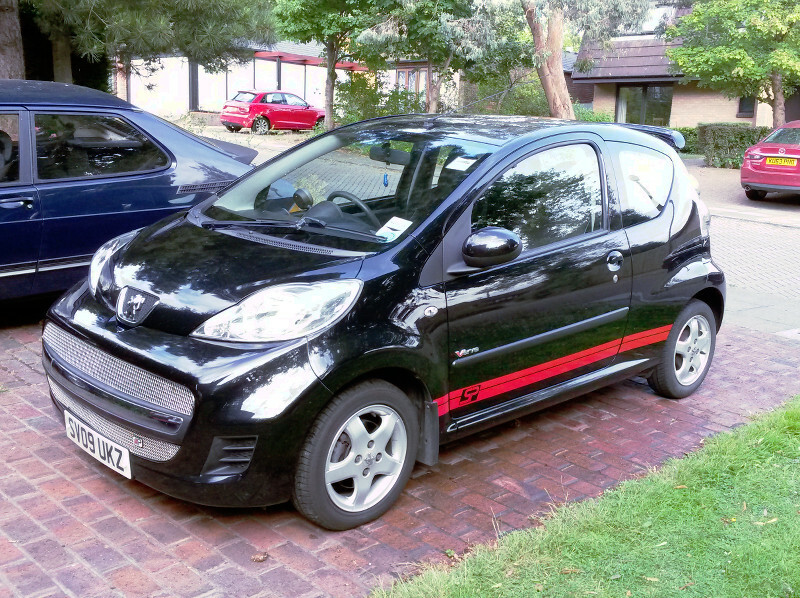 Finally - again, I really need to take more photos of - we have the little Pug 107. Included for the sake of variety even if it's a bit mainstream! First (and probably to be the only) new car I've bought, and has been a cracking little motor and has asked for very little in return for putting up with nearly three years of Oxford-Milton Keynes commuter traffic, before finally escaping that fate when my housemate moved to a new job. Now it doesn't do many miles and is my default car for "when I've managed to break everything else." How much for the Lada, mate? Only joking, nice fleet and nice to see you on AS! 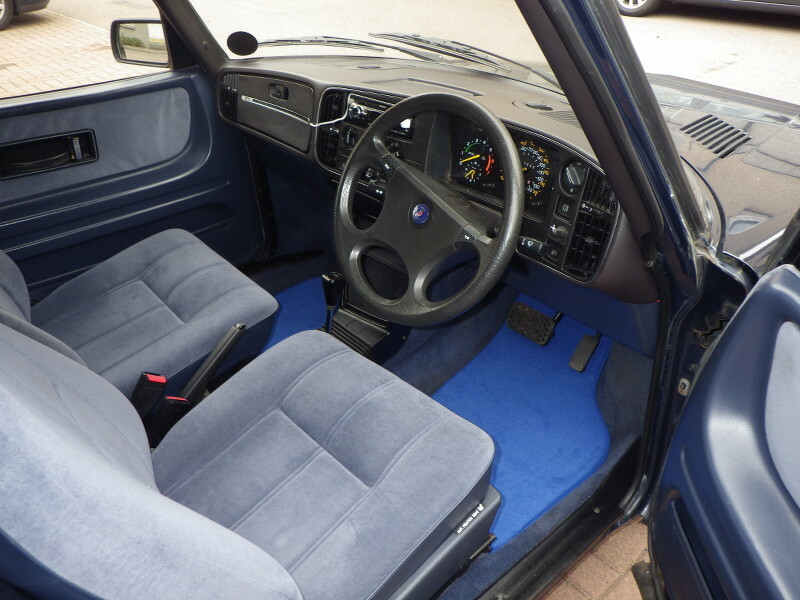 Skoda Estelle fabric rot was rampant on my mums 120LS at least 5 years before yours was built. Great range of vehicles, which have you had the longest, and are there any future purchases on the horizon? Thumbs up for the Saab,my one is also a late eight valver. Shown here on important duty collecting a tasty takeaway meal. Which have I had the longest? 107 actually since it was made to my order in April 2009, was one of the very first batch of Phase 2 cars into Aberdeen. I actually had to go back to get the accessories fitted as they weren't ready when I got the car. Was a lot of fun being able to follow it's process from order to allocation of a chassis number to production, painting, delivery, PDI and finally being ready for collection. That side of the new car experience was good fun. Next is the Saab which I've had since early 2012 when it turned up as a trade in to clear at a dealer in Dundee. I went to look at it expecting it to be a sack of spanners given the price - but found a very clean C900 which was one of if not the nicest driving example I'd come across at that point. I at that point very nearly tad the dealer's arm off. Skoda was picked up shortly after that following the same mate who pointed me at the Saab going "have you seen this?" showing me it on eBay. Paid quite a bit over the odds for it, but the car was local and given I was based in Aberdeen back then that was worth a few quid. Sadly she's been a bit of a problem child ever since and is likely to be moved on soon as I've got too many cars and have suffered something of a critical patience failure with it. 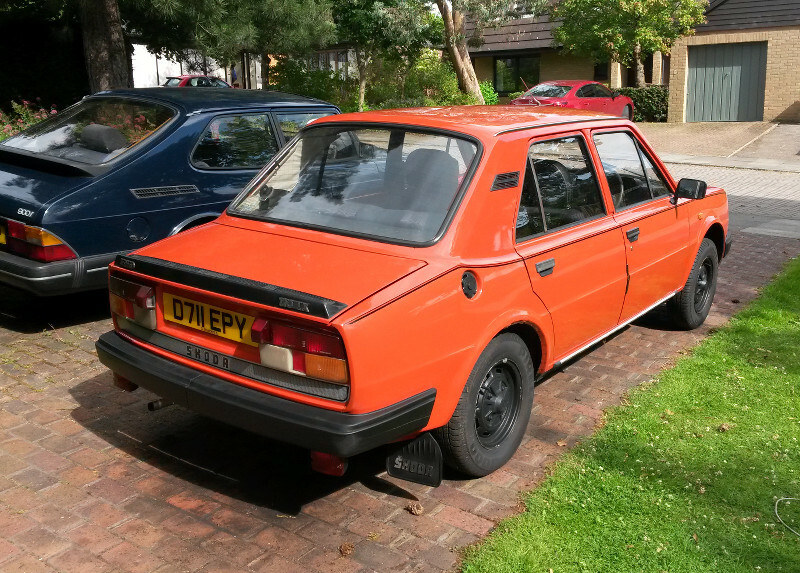 I also want to get the wings changed on the Lada and have a couple of things touched in while it's there, and that's not going to be cheap to get done well, so I'll be planning to invest the funds from the Skoda's sale straight back into the fleet so to speak. I'm also acutely aware that it's just not getting driven, and a car like this deserves to be used and enjoyed. Lada I've only had since roughly this time last year, and have just about managed to fix at least most of the gremlins from when it was bought. As for current plans...move Skoda on, possibly Saab too. I keep changing my mind on that. She's just at the point now where I think it might be in the best interests of the car to be passed on to someone with a bit more time and money to tick off the to do list and give the bodywork the TLC that a few areas now could really do with. Given how little use it's seeing these days I keep toying with whether the 107 might make sense to move on too. 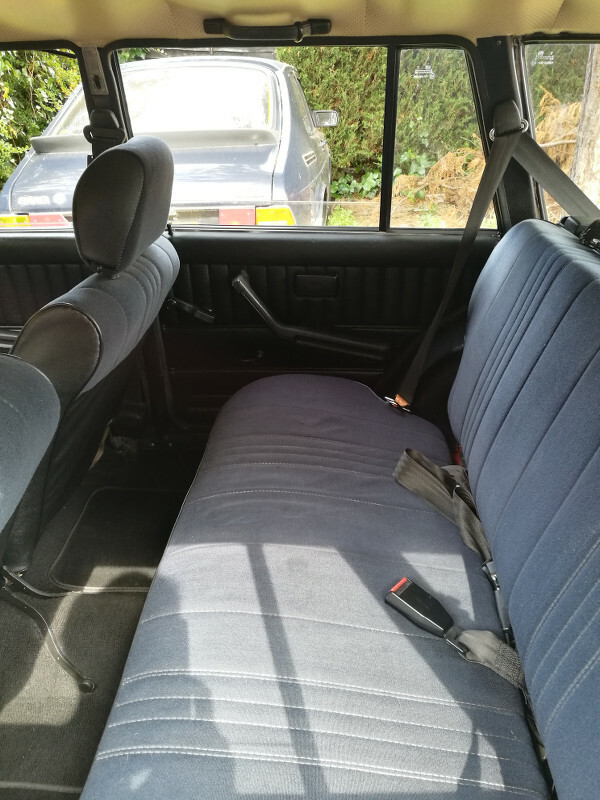 I do want to get a properly dog friendly vehicle more suited to longer distances though - sights currently set on a first gen Jeep Cherokee...not least because I've wanted one ever since I first saw one as a kid when the first arrived over here. The life-size Tonka Toy looks hooked me as a seven year old quite completely...and now the fact that they are just so utterly American - especially inside - just appeals to me. Along with the idea of owning what is essentially a high velocity squidgy leather sofa. There's also a slightly longer term plan to buy something else. It's a stupid, crazy, daft, ill-advised plan...but it refuses to go away. That involves adding another classic vehicle to the fleet...but the sort of classic vehicle that weighs around 9 tonnes, is 50 odd feet long and where a six cylinder eight litre engine is considered "a bit on the small side.". I'm actually quite lucky though in that I will have space to park something like that at home - even if it will mean getting rid of That Tree  for which I will not shed a single tear to get access to that corner. That's probably a year or two down the line yet though. Welcome aboard and what a fine collection you have. There seems to be a fair few of us in the Buckingham/Milton Keynes area now. I was going to ask about the number plate on it! I'm up in Aberdeen and see plenty of SV / SY plates about, so it's always (mildly) amusing to see them so far away. 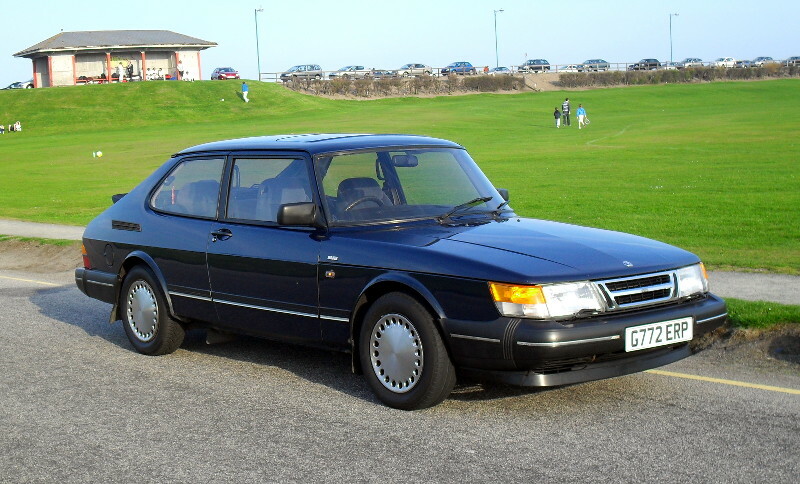 I think what amuses me more is that the Saab I bought in Dundee - Turns out it was originally bought from a garage less than 40 miles from where I now live. 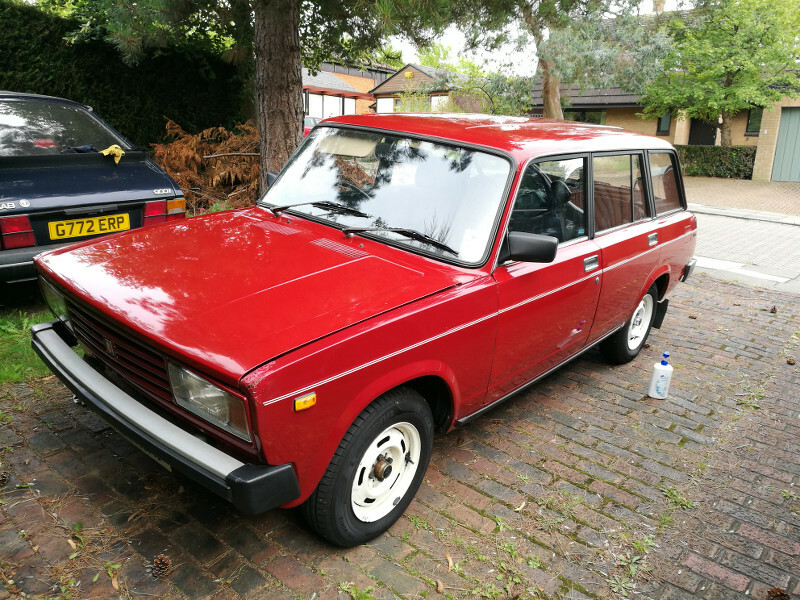 Likewise the Lada, which I travelled up to Edinburgh to buy was originally sold from a garage over in Oxford...So both of these I've bought virtually back to their original homes! I've always meant to take the Saab back to its original "birthplace" to snap a couple of photos as the garage is still there - sadly it's something I've just never got around to. Not likely to for a while either given that it's currently parked in a corner waiting for some mechanical attention. Ever since I got the car it's had an oil leak from the rear corner of the cylinder head gasket - nothing major, just a weep. It would also very occasionally start on three cylinders. At 112K and based on the paperwork I had, assuming the head had never been off it was pretty much due to need a head gasket based on my previous experience with these cars. 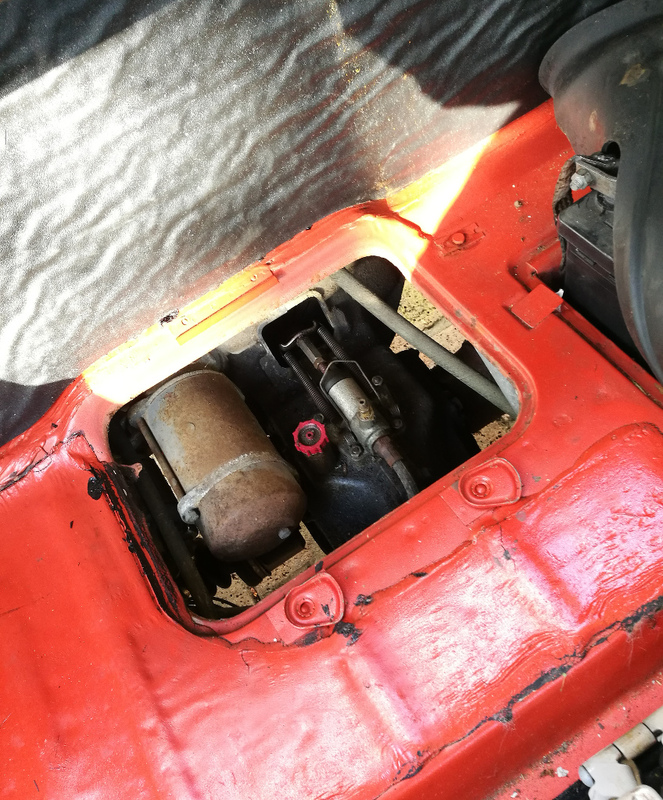 However as it wasn't pressurising the coolant, there was never any mixing of things that weren't meant to mix, and a compression test showed no surprises it was just ticked off under the heading of "keep an eye on it but expect to have to do a head gasket on it eventually." In fairness to the car as well, it took five years before I finally decided that it had had enough. I had a small amount of telltale gurgling from the heater on startup, and figured that it was the warning sign that the HG had had enough - fluids were placed on a daily check schedule and the car placed on "local duties only" status. A few days later turning into our block I suddenly lost a cylinder. Literally 500 yards from home at that point I just drifted back to the house and pulled up. What I hadn't noticed until it caught up with me however was the cloud of smoke and steam from the exhaust that I'd been trailing behind me! No really obvious excessive pressure in the coolant and there was just the barest smear of white on the dipstick - though that could even just have been condensation as it had been a while since she'd had a decent run. Still...the James Bond-esque smoke screen and absence of any life from one cylinder told me all I needed to know. Later that evening I shuffled cars around to put the Saab nearest to the garage and afterwards again checked the oil/water. The fact that there was a tiny bit of contamination in the oil bothered me even though it was tiny, so I decided that the following day I'd drain and flush everything so at least if it was a while before I got to pulling the head that at least it wouldn't be left with damp in the crankcase. The following morning I drained roughly three and a half litres of coolant out of the sump before finding any oil. There was a pint or two of coolant left in the bottom of the radiator...the rest was in the sump. So yeah...that decided to let go quite spectacularly overnight. I drained and flushed the oil twice before the car was again parked up awaiting attention. It was never run with that amount of crud in the oil I might add...just glad my sense of OCD demanded it be done or it could have sat for weeks like that. So she's currently sitting waiting patiently in the corner for me to get that sorted out. Hoping it's just a simple case of old age on the part of the head gasket rather than anything more serious. Certainly in the time I've had the car she's never got anything resembling hot, and careful attention has always been given to the condition of the coolant. As for the Skoda, that was bought from a gent up by Inverness who had previously picked it up when a large collection of vehicles was sold off when someone else passed away. Sadly it had obviously spent a lot of its life just sitting around rather than being used judging from the abundance of surface rust underneath - though I wasn't able to poke holes in anything - it just looked horrendous. 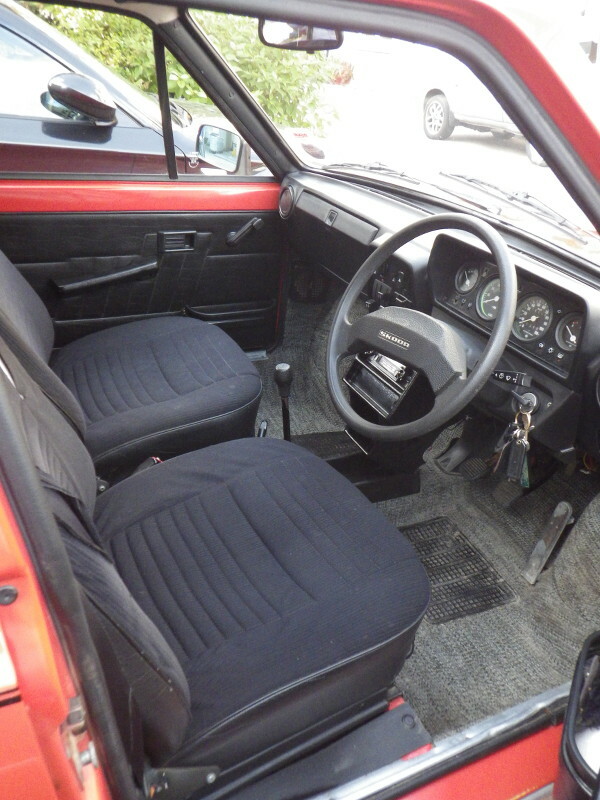 Unfortunately it appeared that the bare minimum had been done to recommission the car. A couple of fuel lines had been changed, the radiator/heater bleed hose and I believe that the rear wheel cylinders had been. That was about it. When I got the car it was still wearing its original tyres (which had turned to plastic and were downright terrifying - powerslides around roundabouts in the dry at 10mph with only 52 horsepower was entirely possible - and in fact almost unavoidable), there were still miles of the original fabric braided hoses that anyone who has ever worked on these vehicles will know and hate, and even more astonishingly - it still seems to have its original brake pads and discs up front. Unsurprisingly this meant that I was taking on a car which suffered from a plethora of "never been regularly used" type gremlins. It wouldn't idle for love nor money - Removing something like a quarter of an inch of sediment from the float bowl of the carb and replacing all the fuel lines helped with that, along with tweaking the carb settings. Any attempt to climb even more than the slightest gradient at any real speed would result in the cooling system cavitating and boiling until you switched the engine off, waited 30 seconds then restarted. Approximately every other day a different random electrical component would decide not to work completely at random due to dirty connections. These included but were not limited to the alternator, headlights, points, heater fan and indicators. It was made all the more exciting by the fact that all of these things would quite happily work for hours before deciding suddenly not to work any more. Several coolant hose clamps disintegrated when looked at. A lot of these issues were easy enough to resolve with a few metres of the appropriate hoses and a couple of boxes of decent hose clips, a new set of tyres and a decent service. The root cause of the issue with the cooling system turned out to be a duff expansion bottle pressure cap. Now while I've a pretty good finger on the pulse of a car and was able to detect that something was amiss more or less the second that the temperature gauge even started to move, I don't think the same could be said for the previous owner(s). So it had got hot at some point, and sure enough that had seen off the head gasket - not surprisingly given that they're made of cheese and like to fail at the drop of a hat nearly as frequently as the clutch release bearings. It's a mechanically traditional OHV engine though, so a HG change wasn't any real headache. Only took 40 minutes or so to strip it off and care was taken not to move the engine with the head off so as to not disturb the cylinder liners. The car only had 18K on the clock by that point, so I wasn't going to mess around with the valves or anything unless the head needed to be skimmed - and checking with the kit I had to hand showed it to be perfectly flat by some miracle, so just cleaned everything up and put it back together again. The single headache I did have there was that previously two of the exhaust silencer (bean-can to us owners) to manifold studs had previously snapped. Getting those out turned out to be an absolute swine of a job which ended up taking me most of a day, an unfeasable number of drill bits and inventing some new and special swear words. The threads did not survive this - but I'd planned on just sticking a nut and bolt in there anyway so as to not have the same problem in the future. Thankfully the stud which goes into a blank hole was good! 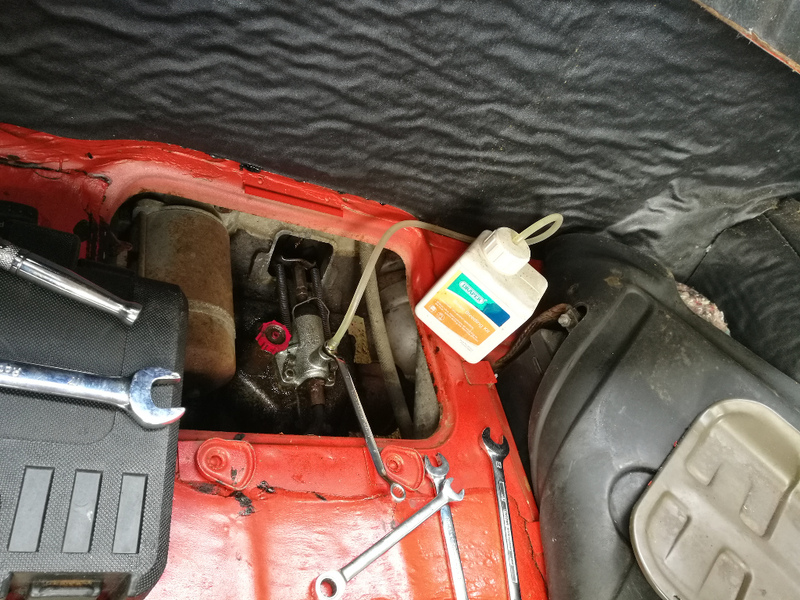 Reassembling everything resulted in a car which no longer flooded itself with coolant when switched off and would go up hills without major protest any more. For about a month - at which point it randomly started to get hot as I turned into our street one day without any prior warning. It did this twice for no readily explicable reason earlier this year - on both occasions close enough to home (and up hill from here) that I was able to just switch the engine straight off and roll home. Once cooled back down, everything behaved normally again. My money there is on a thermostat that's sticking - as that wasn't changed when I did the HG because I managed to get sent totally the wrong part by eBay sellers on no less than three occasions, at which point I lost patience. Shortly after that it went in for last year's MOT which it passed needing only a couple of small welding patches on the offside (yes, it's the offside where all the rust is not the nearside oddly) around the inner sill. I wasn't particularly surprised there as that was by far the most crusty looking part when I got it. At this point an Excess of Real Life intervened, and I never really had time to look at it for a couple of months - and the MOT ran out. Which is about where we're at now. I'm sure that with some TLC and patience that she can be an absolutely cracking little car. 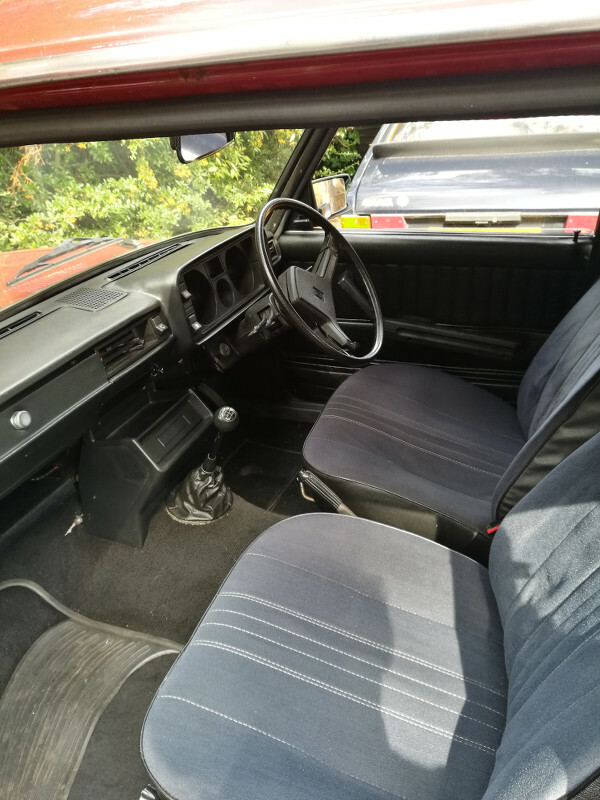 Just has worn through my patience a bit, and given that the Lada that I've since found ticks many of the same boxes while also being somewhat more practical (and dog friendly), it's somewhat surplus to fleet requirements. As such I think it's just time to move it on. I know someone has previously expressed interest in it, so I'll probably give them another nudge to see whether they're still interested. If not it may well get offered on here. Plan is to probably throw it at my usual garage and see whether it'll take another year's test without any major headaches - if so it'll have a year's test. If not it'll be priced even more attractively and have the fail certificate to go with it. I know that's shooting myself in the foot somewhat as far as what it's worth is concerned - but at this point I'd rather just see the car moved on to someone who will enjoy it than invest more time and resources into it in the off chance I get more cash for it. The thing already owes me far more than I'm likely to ever get back even with 12 months test and running perfectly anyway! Only really big job that I'm aware that it really could do with doing - save for being professionally rust-treated and rust proofed anyway - is that the semi trailing arm bushes need doing just due to the fact that they're disintegrating due to old age. No doubt would benefit from a set of brake flexi hoses as well, I'd half expected those to come up at the previous MOT but they didn't. Bodywork is generally good. The grotty bits are: Offside front wing. Corrosion in the usual spot behind the headlights and at the base of the windscreen pillar. Offside rear wheel arch, a bit along the edge of the engine cover, and just general surface corrosion due to sitting around underneath. Rest assured though that an absolute deluge of photos would accompany any for sale ad - I went out a couple of days ago and took about 60 - and then realised a bunch of things I forgot to include...I'm a great believer in the fact that you can't include too much information when trying to sell a car! The state the Lada was in when I picked it up resulted in a similarly "exciting" drive home. I'd pretty much decided on sight that I was buying it as it was largely rust free, low mileage, was the spec I wanted...and I'd just spent eight hours on the train getting there and really didn't want to have to call in the contingency "how to get home if I don't buy the car" plans by that point. I wanted to get in the car, drive to my stopover at the Mercure Livingston (really odd being there not for an event), then get home the following day. It wouldn't idle for love nor money. The steering was truly diabolically vague, even by Lada standards. The accelerator pedal was essentially graduated as follows: stall - kangaroo with the occasional backfire - stall - some power maybe - stall - GO! - Stall again. Made the 350 mile drive home "interesting" - Especially when the traffic got heavy on the M6. The check engine light was resolutely dead. The nearside front brake was clearly doing far more than any of the other three. It was wearing an interesting selection of four different tyres, none of which were brands I'd ever heard of before. The driver's seat had a tendency of randomly un-latching the forward/backward adjustment mechanism when you went for the clutch (I later found the offending missing spring under the carpet - I temporarily fixed it for the journey home once I discovered the problem by cable-tying the adjuster lever to the seat frame). Suffice to say, the first time that this happened, leaving me suddenly hanging onto the steering wheel for dear life, halfway around a busy roundabout in Edinburgh in rush hour was slightly terrifying. Especially when taken in conjunction with the above issues and the fact that my sat nav's battery had about 30 seconds prior to that died so I was already using all available brain cells trying to remember where the fluff I was going. The main running issues were unsurprisingly down to Billy The Bodger having been mucking around with the emission control system. These cars were the only ones other than BMC that I'm aware of who decided that computer control of a carb was a smart idea...and it's a system that *just about* works provided that everything's in A1 condition. However it's a system that if you don't know your way around can wind to all manner of problems when people start fiddling with things. ...Such as having decided to hack the idle solenoid straight up to 12V. What the? Hmm...Unsurprisingly the check engine light was dead because someone had taken the bulb out. Once that was replaced...it wouldn't go out. Not surprisingly given the aforementioned strangeness with the idle solenoid feed. Once I reconnected the idle solenoid to its proper line however, the check engine light started behaving - and the car would suddenly idle. It wouldn't idle especially *well* but it would idle. Likewise the accelerator pedal started to behave better. The carb still obviously wasn't happy, and the running mixture was all over the place, and it tended to flood itself when starting. A thorough clean helped things a lot, though it still tended to hunt between rich and lean at idle (which made getting through the emission test fun!). I reckon the lambda sensor may well have suffered somewhat from it having been running significantly rich for a while when the idle circuit was effectively running at 100% flow all the time. While the car wasn't running especially well...it was actually drivable then! Handling issues were resolved simply by putting four tyres that actually matched and weren't made by some comedy Chinese outfit and getting the tracking set correctly. The brake imbalance that was initially so obvious seemed to resolve itself after a while, so I reckon was just a symptom of the car not having been used regularly for a while. Beyond that it was a simple matter of eliminating all of the original coolant hose clips because virtually every joint was leaking, and just little detail jobs. Getting the carb to behave well I sidestepped. I've done battle with that carb twice before on a Samara and another Riva, and don't like it. It was an ingenious solution to a problem...but it was a bit of a bodge. However the fact that it's a 1993 car means that your options are limited as it needs the emission control kit to pass the emissions test. My solution? Grab the fuel injection system from a Niva 1.7i and graft it onto the Riva. My firm belief is that this is how the later Rivas should have been equipped when they arrived in the UK. While it doesn't do anything to dilute the character of the car, it makes it far more driveable. The jerkiness of the drivetrain at low speeds is vastly reduced, the power delivery is far more linear, and you've got a bootload more bottom end to mid range torque. The "how I did this" for that though is worthy of a post in its own right I think - and once I've finished a couple of details that are outstanding (waiting on tracking down the right fuel pump mainly as the one from my donor vehicle was dead and applying some brainpower to properly sort the throttle linkage in a manner that doesn't involve several cable ties), I'm probably going to write up a proper how-to in case anyone else wanted to attempt something similar. How much for the Lada? Deliver it to Macduff? Nice to see you about here too Davie! Relatively little done to the fleet lately save for fitting a new set of wiper blades to the Lada yesterday as they had started doing the squeaky, juddery smeary nonsense and cleaning both the blades and screen didn't help. They really don't seem to last like they used to. I have however made a bit of a discovery. Somewhat to my surprise, both the fuel pump to suit the fuel injected Riva and the tank to suit it are available - as it sounds like is all the associated pipework. North of £350 worth of bits...but as a drop in solution I'm actually being quite tempted. By the time I've got hold of a Niva pump, modified the pickup and fuel gauge sender from that and detached it from its original tank cap and attached it to the original Riva one (yay, brazing to things that will inevitably contain petrol vapour no matter how hard I try to prevent that being the case...that can't possibly go wrong! ), and have got proper custom fuel lines made up it's not going to be cheap anyway...and I'd be using a secondhand pump that's an unknown that I might then have to faff about changing in future anyway. My intention with this injection project has always been to make this car as close to what a 1.5i would have looked like when it left the factory if such a thing had ever existed...This looks like a useful step in the right direction. Also sounds like the supply issue with the estate spec exhausts has been resolved so they can get them in again with the correct offset tailpipe...I really need a new middle and rear system for mine as the middle section is rapidly dissolving (I've already chopped the expansion box out from when that started blowing), and the rear has already been bodged by someone before so the tailpipe hits the towing eye (loudly!) when going over speedbumps. Tom had been having issues for a while where the tailpipes arriving were all the straight ones rather than those with the offset that I'm after, irrespective of having ordered the correct part number from Lada. Today I established that I've also got a creaky ball joint somewhere...They're so cheap that my approach here will probably be to just buy a full set and throw them all at my garage and say "just change any that need doing" I don't do suspension/steering work...It's enough of a world of pain that I reckon it's worth paying someone else to do that for me. 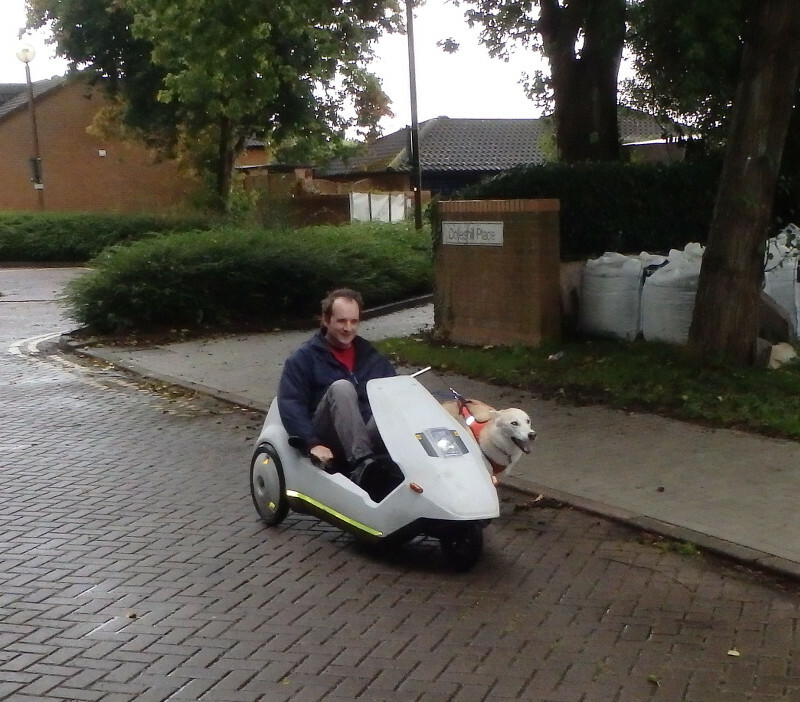 Photo of dog pulling C5 required! You do know that a Ford weber carb will bolt straight on? It will still pass the emissions test. Cut the cat open and remove the contents to make it look legit. I've had several of Ladas and would have another but never would I have an injection model one! 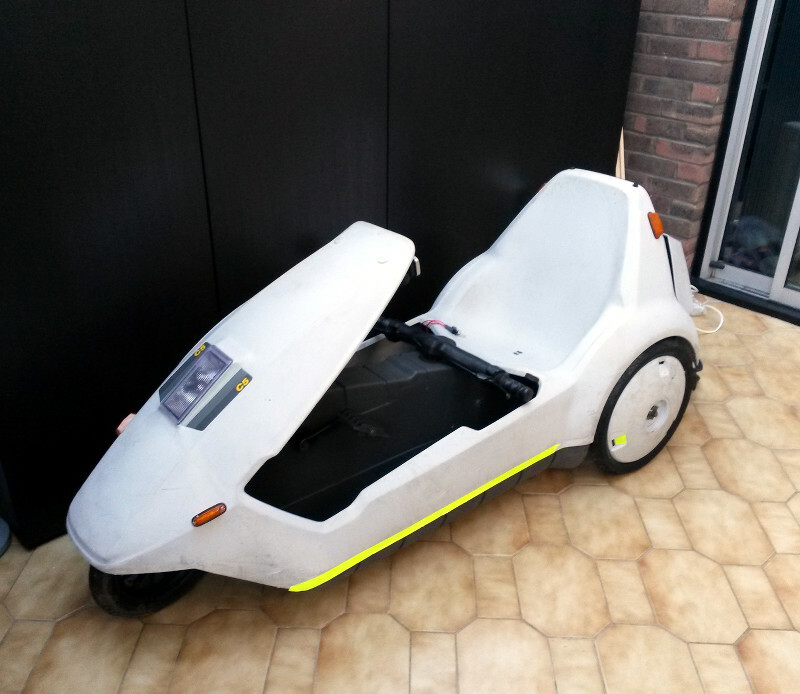 Well, you asked for photos of a husky powered Sinclair C5...so here you go. Sorry for rubbish photos, it was a dreary day and was tipping it down, so was the best my husband could do at short notice. I regularly come around this roundabout on two wheels. If that's not a happy looking dog, I don't know what is. I'm basically going "I think there's a road out there somewhere..."
I'm only actually on the road for about 200 yards, then it's all off-street shared cycle/pedestrian paths. He'll easily clock up 20mph going down there! Regarding the cat on the Riva, that's something I'd honestly be curious to see. I'd like to see it on the gas analyser and see what the actual result was.  The test parameters for this *are* for a cat equipped car - <0.3% Vol CO, <200ppm and Lambda 0.097-1.030. As it stands I've no issue with it being there...It's helping reduce the amount of poisonous crud it's throwing out the tailpipe, and the performance - especially with the injection conversion is more than adequate for my needs. The injection system isn't (unlike the Ozone carb!) a cheap knockoff of another system - the whole lot was bought in off-the-shelf from GM, and works really rather well. I'm sure that it you were so inclined that there's great potential for tuning with it as well - the system has apparently been used on vehicles with engines up to around 4 litres in size. Faultfinding on it isn't hard once you get to know the foibles (mainly that it's hyper-sensitive to vacuum leaks), and to be honest the system is actually very reliable on the whole...that's one of the main reasons for the conversion. It's also stupidly simple compared to many. Throttle body (TPS, fuel pressure regulator and idle air control valve all integrated), injector, crankshaft position sensor, coolant temperature sensor, air intake temperature sensor, MAP sensor, inlet manifold heater, ECU, fuel pump, lambda sensor, coil pack...and that's about it. The other reason though is that the difference in the power delivery just makes the car so much more pleasant to use in the real world. It just gives you a lovely smooth torque curve from virtually idle when you're driving normally - but if you want to put your foot down for an overtake it just gets on with it and goes. Also makes a noise as though someone's stuck a rather tasty Webber on there too...Probably doesn't breathe quite as well at the top end as a big twin barrel Webber would - but I'll take the linearity and smoothness of power delivery over a bit of top end power. Let's face it...the noises this engine makes if you really go anywhere north of about 4000 rpm are terrifying enough that I rarely venture there anyway. If I was going for power, stripping it out etc then yes...Big carb. Trundling around locally though or sitting in a traffic queue, the injection system wins hands down for me. A discovery I made in the last couple of weeks was that a number of bits for the fuel injected version of the Riva (as seen in Scandinavian areas & I believe Canada) are actually still available. Specifically in terms of things I'm interested in: The fuel pump, the fuel tank (the top plate is different) and the lines between there and the throttle body. The current fuel supply and return lines while perfectly fit for purpose are a bloody mess. 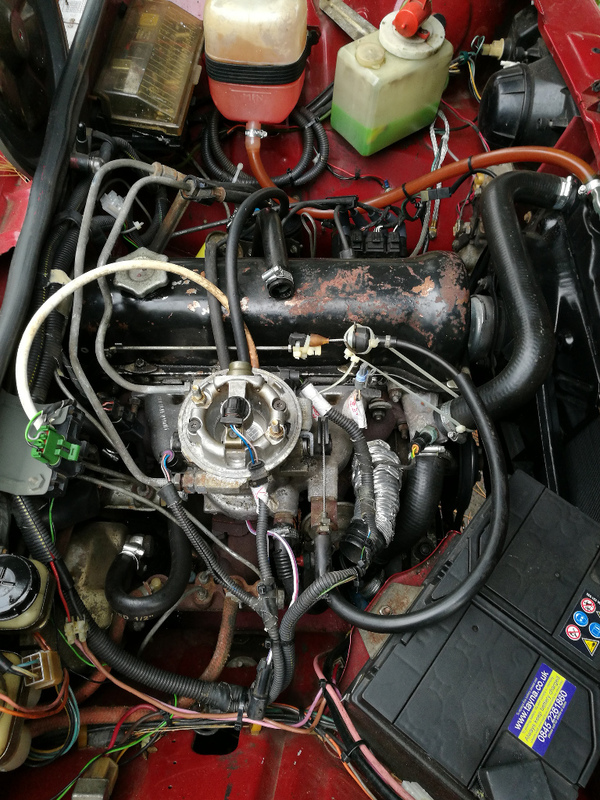 The engine bay pipework is off the Niva (which is laid out quite differently) and has been hacked about to roughly fit, and the lines under the car have been modified to suit. Especially given that I'm using an inline fuel pump at the moment, it's not pretty. Quite at odds with my intention for this to wind up looking like it left the factory equipped like this. So a complete do-over of this has always been planned once I had proved that it actually worked. Intention being to get custom fuel pipework made up end-to-end once I'd figured out a long-term fuel pump solution (as the one I'm using is a well-used spare I had laying around that makes some...interesting...noises). I'm also ordering a new layshaft flexible coupling as mine is badly perished, a full set of front suspension ball joints as one of mine is creaking (just going to throw that at the garage and say "fix it"), a new reversing light switch, and a full set of engine and gearbox mounts as all of mine have been badly oil contaminated. None of this however will solve my one remaining issue. The throttle cable. The Riva as standard uses a series of rods, pivots and linkages to connect the throttle pedal to the carb. I have no idea what the madman who designed that system was smoking when they came up with it, but I'd like to know where to get some! Given Lada's usual approach of "keep it simple stupid" with this car, I've no idea what they were thinking. The later Nivas which were fitted with fuel injection use a conventional throttle cable. My original plan had been to just swap the throttle pedals over and that would be that...Not so simple. 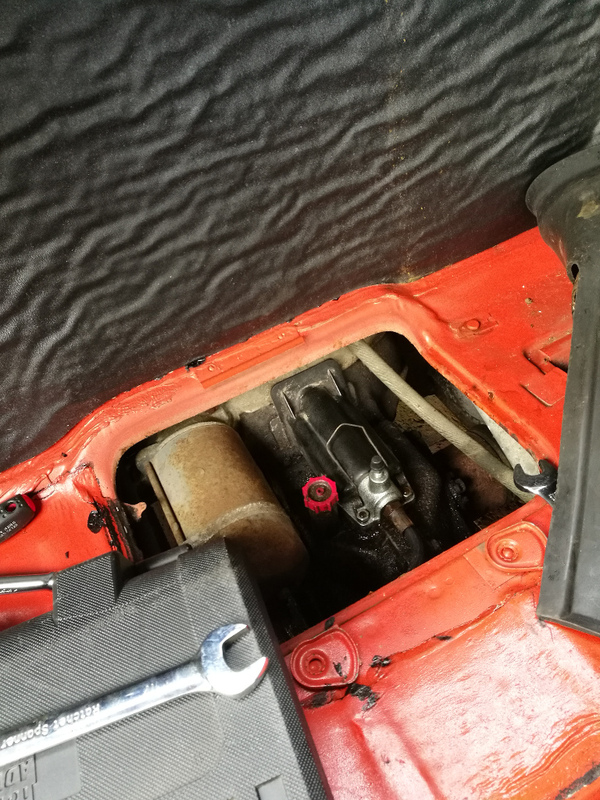 Turns out that due to the position of the wheel well in the Riva, that the Niva pedal won't fit - at least without significant modification - and the two studs on the floor that it bolts on to are also absent. Both of these are problems that it it comes to it I can probably resolve with the welder. At the time however I needed to make do with what I had to hand. Which meant that a great deal of swearing happened as I needed to put the original Riva throttle pedal assembly largely back in place, having just got it out. This is something that plainly goes into the car *before* the clutch and brake hydraulic lines are plumbed in! As such getting it on/off on a fully assembled car without removing that lot is awkward in the extreme. The photo below shows the absolutely horrible bodge that ensued. Horrible it may be, but it works. The only issue with it is that it results in quite a notchy pedal. I think the main cause for that is that the cable is bent back on itself at far too tight an angle. I just thought that you guys would get a laugh out of the cable-tie atrocity here. I can assure you though that this is shortly to be resolved - I'm open to clever ideas how to go about doing so - but I reckon just modifying the Niva pedal I've got and welding a couple of bolts onto the bulkhead to bolt it on to is probably the best plan. Those screw terminal blocks you can see are temporary as well. I had to extend the power lines for the injection loom as the battery is in a different location in the Niva, but now I know it's working the joint will be getting soldered up and heatshrink applied. 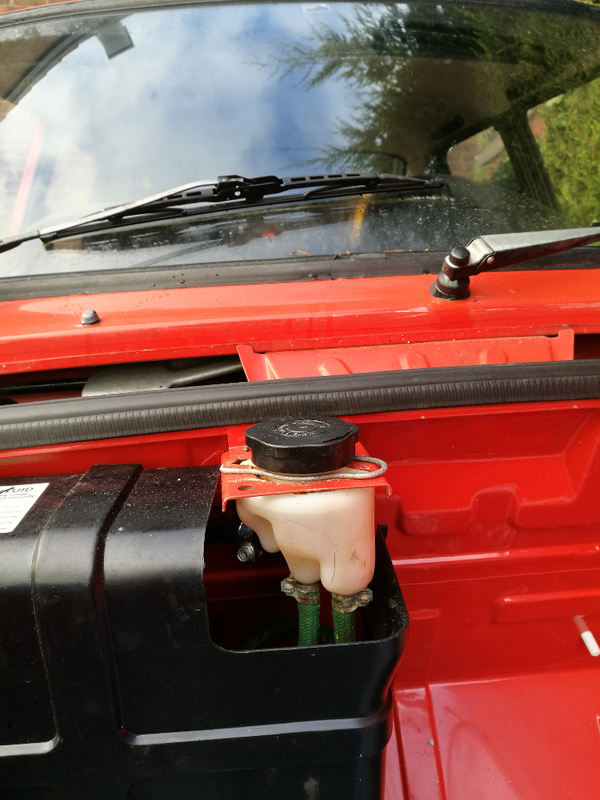 The one over by the oil filler is just a "placeholder" for the vehicle speed sensor when I manage to track down the bits I need for that, and once that's sorted out it too will vanish. Speaking of wiring, I really need to trim the ignition system loom back a bit - it's massively too long - hence the bit coiled up under the coolant expansion tank. I suspect that may be on the "to do" list for a while though as it's purely cosmetic! Most of this will hopefully happen at the same time when the new fuel system bits arrive, and I take the car off the road for a couple of days to get the work done. Well having found a hopeful new home for the Skoda, it's looking increasingly like I've unintentionally found a new addition to the fleet at the same time. Whether it will turn out to be a permanent member of my fleet or just stick around for long enough to be checked over and sold on on behalf of the current keeper will remain to be seen. I can see it sticking around though, it's another Xantia and I've been very much missing my previous one since I sold it a while ago. Saab will probably be next up for moving on I think. 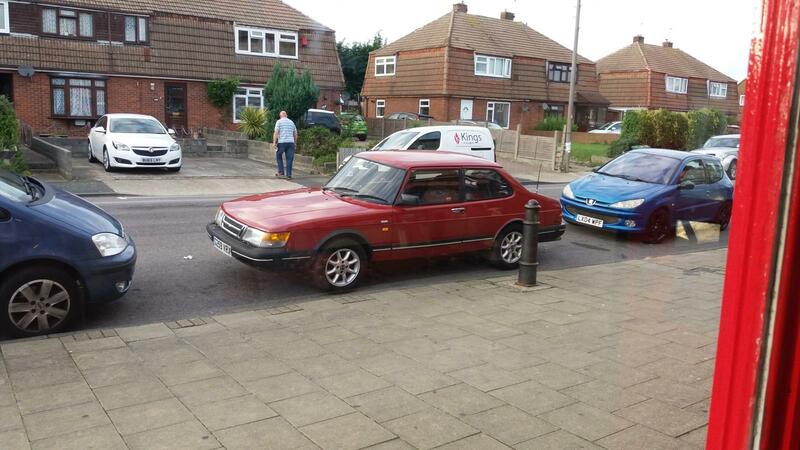 Will be really sad to sell the Saab, but I just don't think I've the resources really needed to do it justice. I'd rather see it go to someone who has either the money or the skills to tidy the body up properly rather than just trying to get by. It's not too bad now, but give it another few years... I'd far rather see it caught now than have to be dragged back from the brink of dissolving. Also dropped off some reading material with the soon-to-be new owner of the Skoda after it fell on my head (the manual, not the car!) while digging around in the garage. A rare badge these days...and one I've wished to have on my driveway since it was launched...never even dreamt it would happen though! 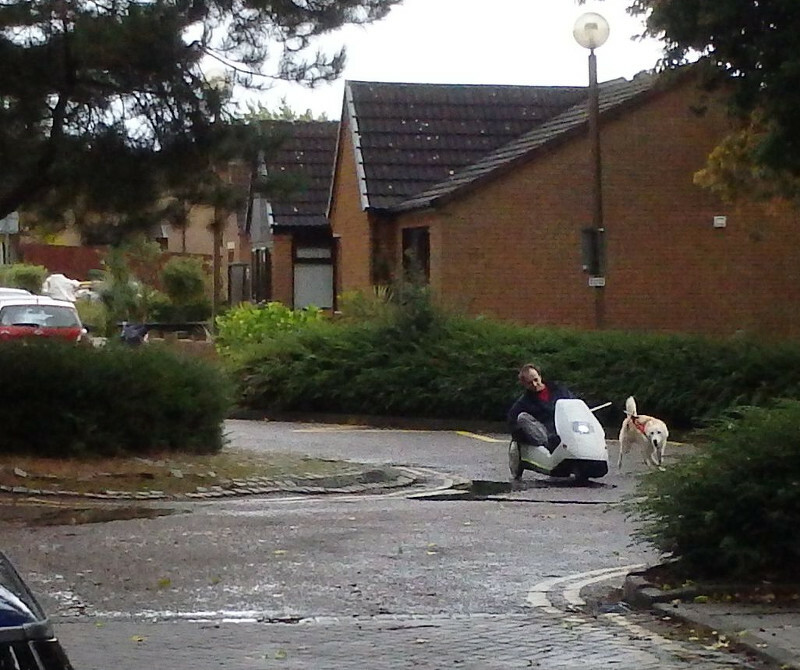 Agreed, in real-world conditions an Activa isn't any better than a normal hydropneumatic Xantia. And if we're totally honest, a Xantia isn't much better than a conventionally-sprung Peugeot 406. But how can anyone resist a car using technology as bonkers as the anti-roll Activa suspension ? Indeed. I found that with decent tyres and the suspension in good order that you could hussle my old TD Xantia along a twisty road at a fair old rate. Just curious to see the difference first hand to be honest. Last time I drove an Activa would have been about 15 years ago - I remember the experience being somewhat uncanny...it just felt odd staying level while hurtling around a roundabout at high speed. I seem to recall that it's in situations where you need to swap directions rapidly that the Activa really shines, reckon one would make an epic track weapon with some weight shed. Not my style though...I like my luxuries. 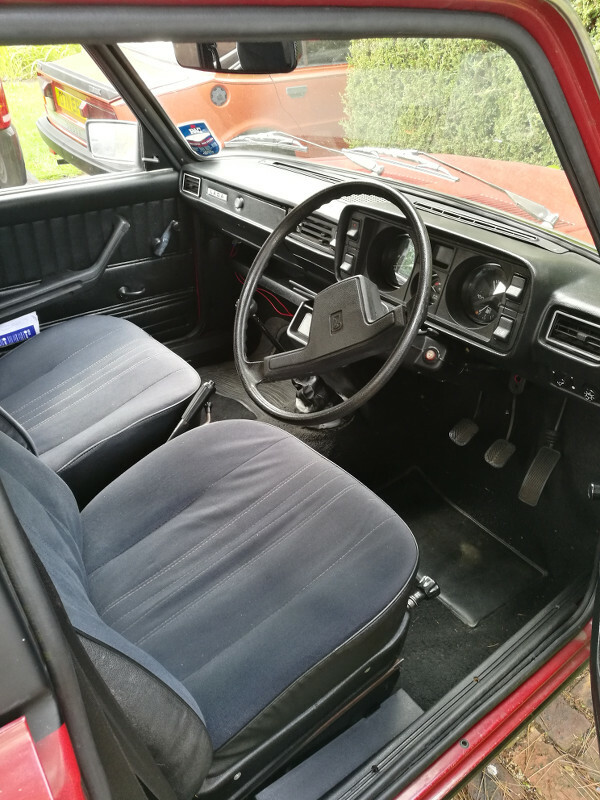 Will be a first for me in a couple of ways...first car (on the road anyway) with leather, and finally the first with wood (or wood effect anyway) trim. Had expected that to be a Cherokee to be honest, but one of those has yet to turn up yet. Well, one that's not rotten or too expensive anyway. Xantia is a car I've had a soft spot for a long while now, so it makes sense to have a shot of what was (debatably) its ultimate incarnation...given we never got the Activa in V6 form over here anyway. Makes sense to do it now at least before the parts supply situation makes it a truly impossible car to really use. You likely know this already but while jealously researching activas I found this little gem, a v6 activa still holds the record for the fasted 'moose test' even compared to modern exotica. Quite impressive for a twenty year old design and just makes me want one even more. Please keep us updated. I was speaking rubbish...my first car on the road with leather was actually my Cappuccino. God I miss that thing...even though it was a total pain in the tail to work on because it was so small. Have finally sourced a clutch cylinder for the Skoda. That will hopefully get fitted next week, then I can get it in for an MOT. Once it's got a fresh ticket, it will be dropped off with its new keeper and all being well the Activa will come home with me. It's just been having some work done for the test to resolve a split CV boot, but is having V6 spec brakes fitted while things are apart. Apparently a well worthwhile upgrade...I trust the current owner to know what's worthwhile. 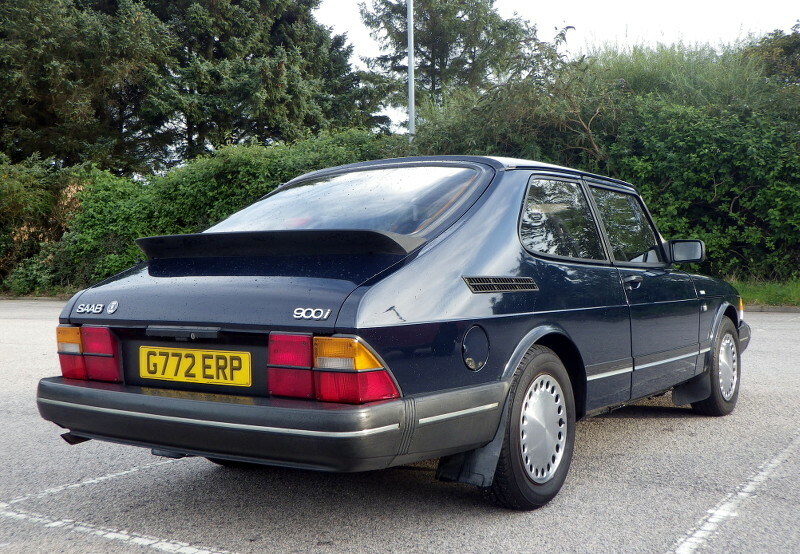 A close friend has also expressed interest in the Saab - so that may well be moving back up north early in the new year. That will make me so much happier than her being sold on to someone I don't know...that car has an awful lot of memories attached. Not least being the last place I ever really got to talk to my late mother. Will need to figure out what to do about the clear coat peel on the Activa. 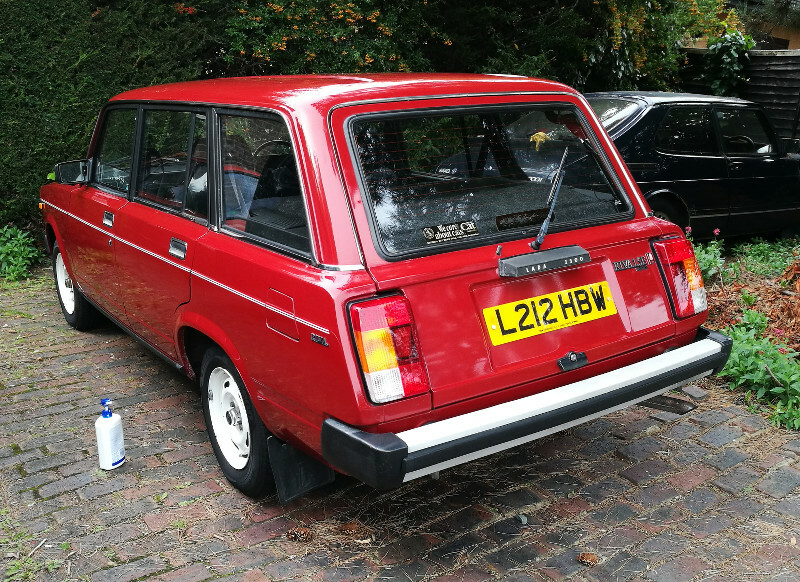 Dante Red almost invariably does this, and the Activa looks as sunburned as expected...if I wind up keeping it long term, a full respray may be on the cards, be a few years before I can probably afford that though. On the plus side, last year we made the trip crammed into the back of a catastrophically uncomfortable VW Golf R Estate. That car caused me physical pain after about 20 minutes, much less 7 hours. We've got a VW Caravelle this year though which is *vastly* more comfortable. Not least because it actually has some form of suspension. One of my favourite roads to drive was called Slug Road, running between a point just inland of Aberdeen down to Stonehaven...I reckon I may need to take the Activa for a trip up to meet that bit of tarmac one day. Activas like that road Zel! Where is the lacquer peel worst on the activa? I’m investigating a partial wrap on the roof and bonnet on Gabby. Your rattlecan fix on her roof is still ok, just looks a slightly colour, but I’m going for a black roof and bonnet. If you make it to the Slug Road be a shame not to do the Cairn O'Mount road as well, so swing in by for coffee! I've learned to treat jobs on the Skoda with a certain degree of trepidation as they've always had a tendency to go somewhat awry, often in really interesting ways. Not quite so much as with the Saab though, on which I've learned by now to always multiply my expected time allocation to anything whatsoever by at least four! 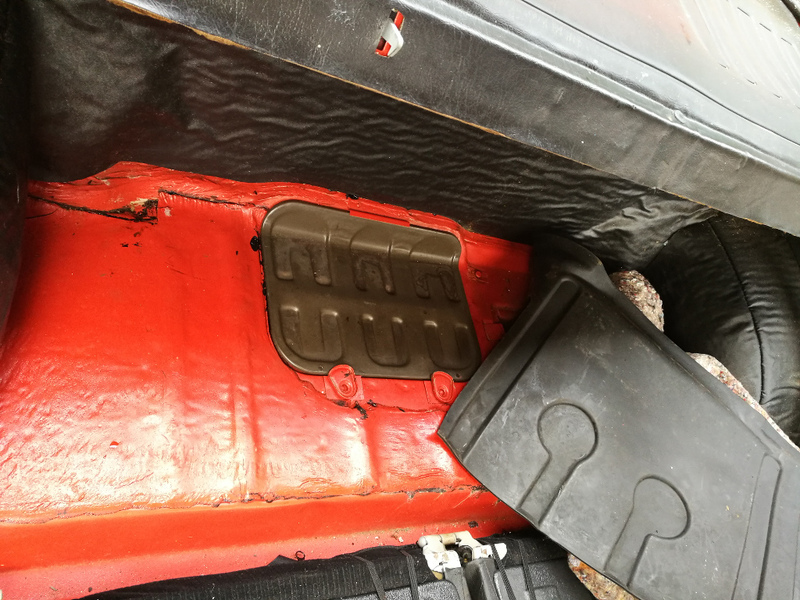 Fold the rear seats forward and lift the sound damping and rubber mats to one side to reveal the gearbox/clutch inspection panel. I've also removed the plastic cover over the clutch cylinder already in this picture. As you can see, access isn't a problem. Pretty sure I've seen smaller starter motors on buses than the one on this thing! 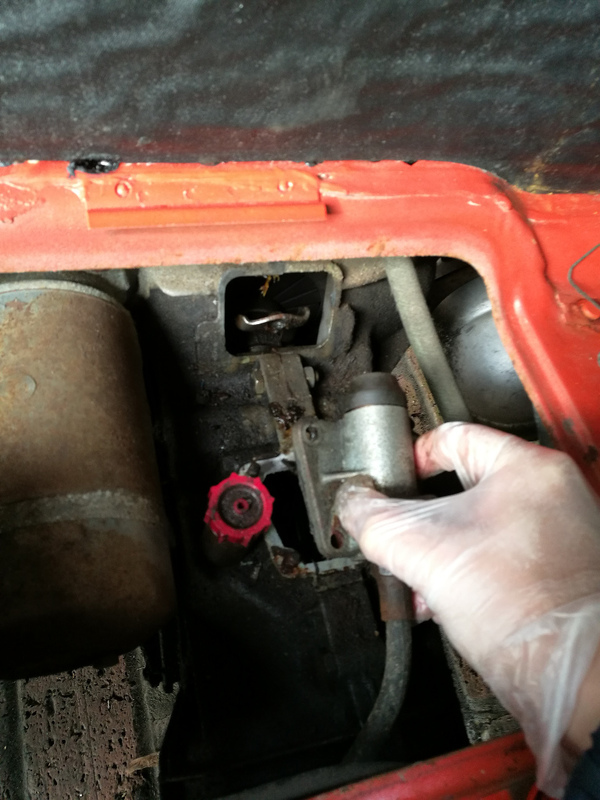 I chose to remove the pushrod at this point to eliminate any chance of it falling out as the cylinder was removed. There's enough clearance to wiggle it out if you lever the clutch release arm forward a bit with any appropriate tool. I used a spanner as it was what I had to hand. Also while the cylinder is still bolted down, crack the hose union to it off (17mm spanner). Just leave it finger tight then. 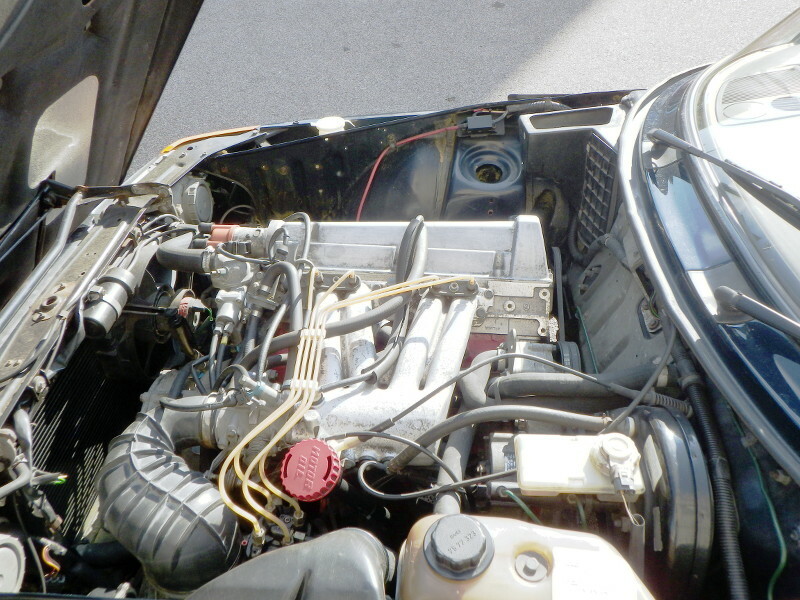 Remove the four nuts holding the cylinder in place - note that the two nearest the engine have small washers under them and that the two to the front of the car hold the cover retaining spring clip in place. The cylinder can then be lifted clear and be unscrewed from the hydraulic line. At this point I got a bit of a surprise - I had totally not expected this to reveal a hole looking straight down into the guts of the differential! Thankfully I had a tube of instant gasket on hand (same way the original was sealed, no gasket evident), so I was able to apply some before putting the new cylinder in place. The best sequence I've found for this is first to screw the hydraulic line in place hand tight, insert the pushrod into the cylinder, then plonk it in place on the studs. Getting the pushrod in once the cylinder is already bolted down is fantastically fiddly...so doing it this way around is far easier. Checking the free play (adjusted by releasing the locknut and screwing in/out the plunger on the end of the pushrod, I forgot to photograph this bit) is next - it's critical that there is a couple of mm free play, or the clutch release bearing (which is made of finest cheesium) will get shredded in short order - I've changed four of them! £5 part...but you need to take the engine out to get to it. 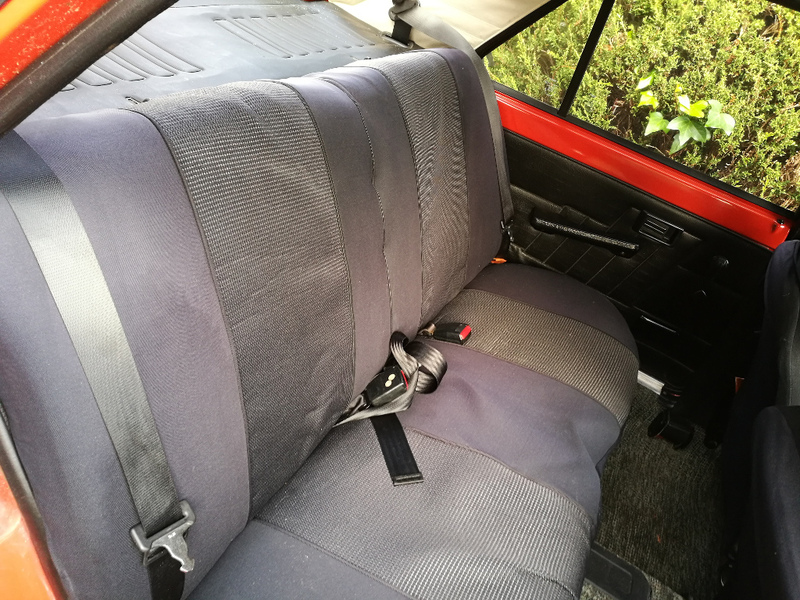 Stick the back seats up again - slightly fiddly to do at the moment on account of the seat covers being one-piece and it being a split seat. Obviously I'll want to check and re-adjust the clutch free-play once I've driven a few miles. Next step will probably be to get her booked in for an MOT. Oh, and adjust the valve clearances as she's currently clattering like a Valencia engined Fiesta...Might try to get that done tomorrow if the weather co-operates.